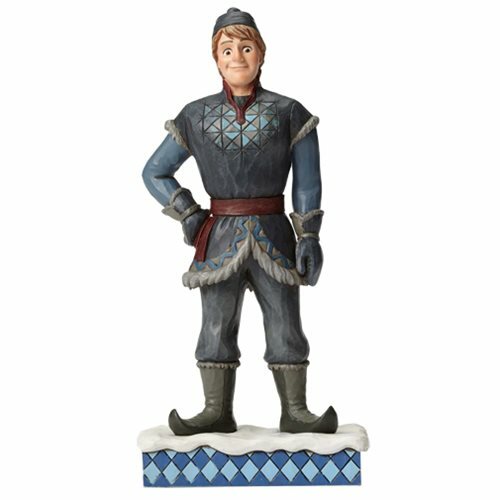 Kristoff the Kind Hearted from the Disney classic Frozen stands tall and strong in this handsome design handcrafted in the folk art style that is unmistakably Jim Shore. The Disney Traditions Frozen Kristoff Statue is made of stone resin. Measures about 7 1/2-inches tall x 3 1/2-inches wide x 2 1/10-inches wide. Ages 13 and up.